I haven't posted anything for a while. I hadn't realised it but I think I've been on holiday. Not that I've gone anywhere - although I have popped down to the seaside briefly - just that I haven't been doing any proper work. Which has been lovely. And probably much needed too. There are a couple of things to say... one of which is probably quite boring so I'll start with the not-boring bit. Somebody sent me a link to this clip someone has made using the sound from one of the ideas on Genius... and I really like what they've done. Maybe this is what we should do for the TV version. Instead of making it in a TV studio, maybe we should just get them to add still pictures to the audio. I really like it. But then again, maybe not... I think people will have a reasonable expectation that they'll be able to see the actual show. The filming dates for the series aren't finalised but I expect it to happen in September/October. I'll be sure to let my mailing list know as soon as the tickets are released. I don't really understand how these things work but for many years there's been a forum on my website. I don't pay it an awful lot of attention but one of the things I like about it is that isn't meant to be a place for people to discuss me... it's just a place for people to chat. But in the last few weeks it's been attacked by bots. Like I say, I don't know how these things work and with most things relating to my website my understanding expands to take in just as much as I need to know and nothing more. What I do know is that just as some people make a living by bombarding us all with spam, so some people make a living by trying to improve the visibility of their websites. I suppose that if your website sells something or makes ad revenue or whatever then the more people that find it the better. So they try to con search engines into thinking it's a more relevant page than it is by creating lots of pages full of links to their sites. 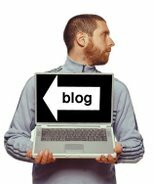 The forum I was using on my site was quite old and insecure and it meant that computer-bots could automatically sign up for accounts. Even though it needed a real life person to completely authenticate an account and post something in the forum, they could automatically get far enough to enable them to send messages to each other via the forum... and I suppose each message meant a new page of the internet existed. So I would find these bots were signing up for 20 accounts overnight - all using e-mail addresses with Chinese domains, and then they would send hundreds of messages to each other... until the servers crashed under the weight of the activity. While I could fight them off in the short term it got to the point where I was spending an hour each day tidying up after their little sorties and I simply don't know enough about the software to patch up the security holes. So eventually I had to nuke that forum and start another from a different company entirely. I'm quite amazed that I've been able to understand it sufficiently to set it up and transfer over all the existing conversations and usernames etc. So far it appears to be spam free. Famous last words. Anyway... for those who are interested... the shiny new forum - or, as the regular users christened it - the Gorum - is here. And with that, I'm back on holiday... which involves going to see a lot of gigs. Comedy: Todd Barry at The Soho Theatre. Music: Dead Dog in Black Bag at the Monto Water Rats . At the weekend I was on the Southbank, wandering along between Shakespeare's Globe and Borough Market. There's a replica of Francis Drake's ship The Golden Hinde moored at Pickford's Wharf at the end of Clink Street and as I approached it, I was passed by what I assumed to be a father and son in the middle of a heated discussion. Well, the boy - who I reckon was 7 or 8 years old - was heated, his Dad was incredibly calm and behaved as if he'd heard it all before. DAD: I've got lots of photos of you. DAD: Will you stand there by the pirate ship. DAD: You know when I put the photos on the computer it'll show the date and time when they were taken. At which the boy snorted through his nose. Partly it was a snort of disgust but mostly it registered defeat and his annoyance at the unfairness of the world for not allowing him to lie to Social Services about the nice time his father hadn't shown him. Remarkable. Indeed, I remarked upon it. 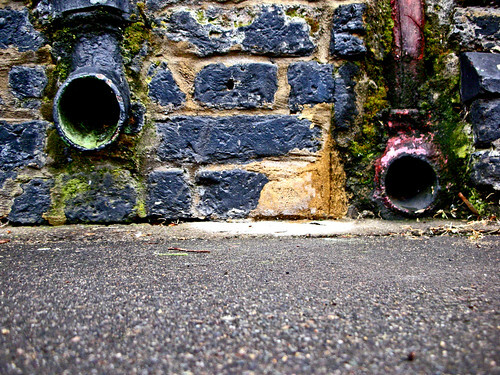 Drainpipes, originally uploaded by Dave Gorman. 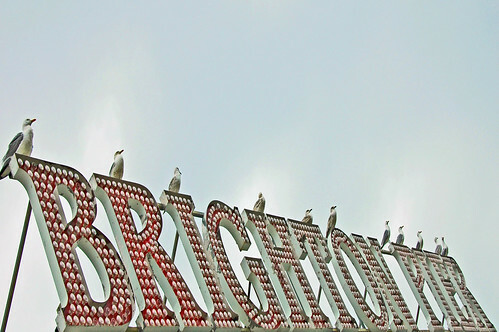 Brighton Pier, originally uploaded by Dave Gorman.